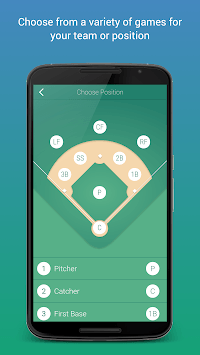 Train on 7,000+ free softball "situations", by position. And if your coach subscribes, he/she can deliver their custom content... also within your app Game play! 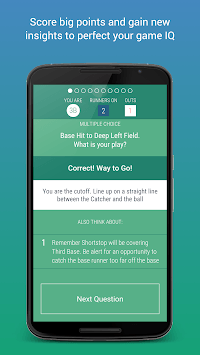 BASIQs Softball is a first-of-its-kind app ... with the sole purpose being to help you develop your "game IQ." 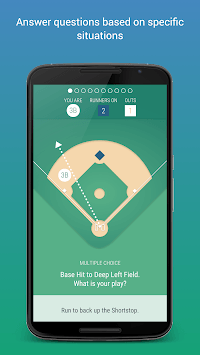 You do so via the thousands of animated situations and other questions we have created within the app Game Play ... and you can also connect directly with your real Coaches, who can deliver specific training, scouting and situational content directly to you via the app Game Play. 1. Fixed issue with "Challenge a Teammate" to show members of selected team only. 2. Fixed bug to show current date as default selection in DOB. 3. Added "Support" link to the top menu. 4. A few other fixes and performance improvement.